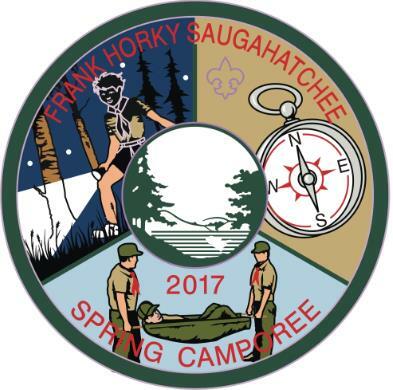 The weekend of March 31 to April 2, Troop 50 Scouts and leaders joined five other Saugahatchee District troops at Chewacla State Park for the district's annual Frank Horky Spring Camporee. 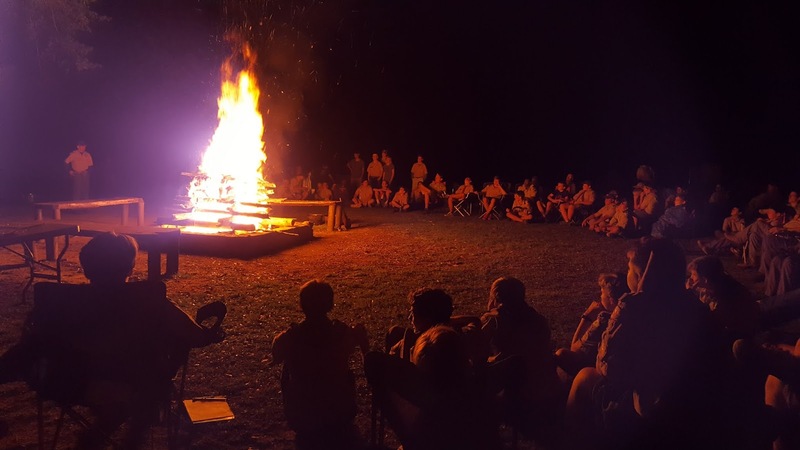 As in year’s past, the spring camporee events are centered around the experiences of Scouting’s founder, Robert Baden-Powell, during the Siege of Mafeking during the Second Boer War. Baden-Powell, a British colonel, was charged with defending the South African town during the 217 days the siege extended from 1899 to 1900. Because of the shortage of manpower in the town, boys below the official fighting age volunteered to support the troops, carry messages and help in the hospital. This freed up men for military duties, and kept the boys occupied. The Mafeking Cadet Corps are sometimes considered as forerunners of the modern Scouting movement, which Baden-Powell founded in England in 1907 before it migrated to the United States in 1910. They were given khaki uniforms and a wide-brimmed hat, and the townspeople often commented on their smartness. Returning home from the war in 1903, Baden-Powell found that he had become a national hero. 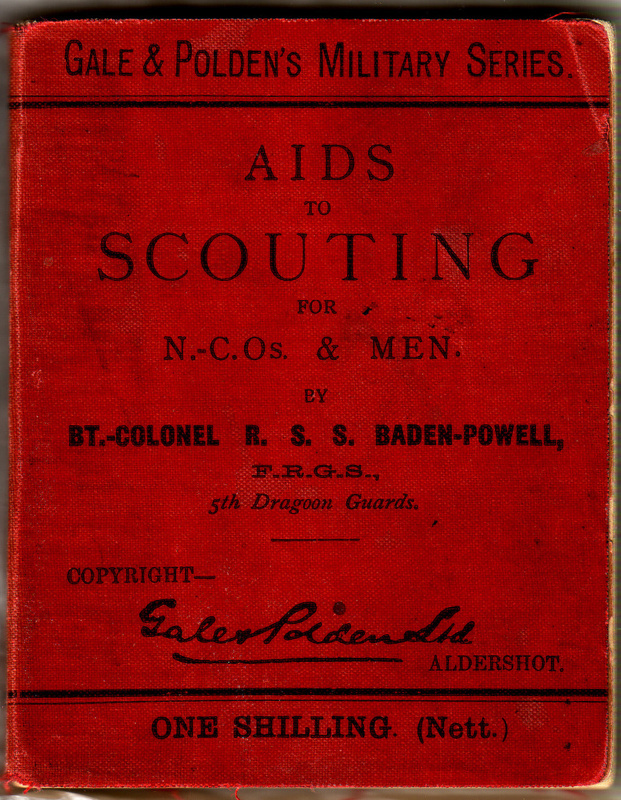 He also found that the small handbook he had written for soldiers, Aids to Scouting, was being used by boys throughout England to learn observation, woodcraft and outdoor skills. The troop readies to hit the trails in search of litter. mountain biking, Scouts like Trey were tuckered out! 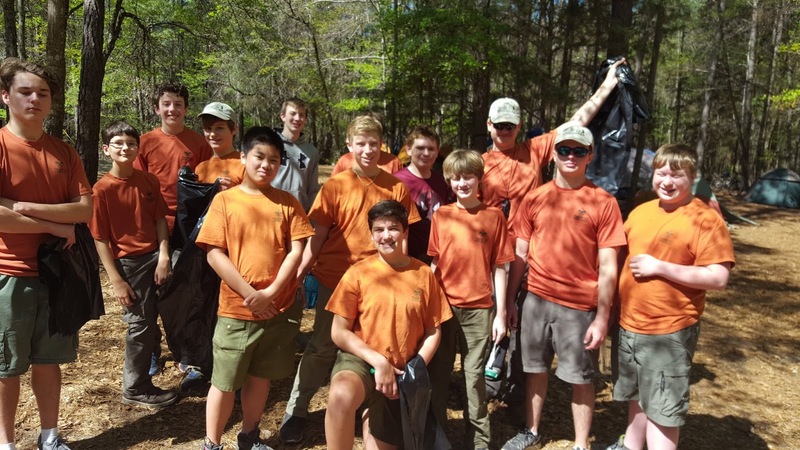 After sleeping in a little later on Saturday morning and preparing breakfast, the troop participated in a camporee-wide service project benefiting Chewacla State Park. Each troop was assigned a portion of the park's walking trails and popular gathering areas to pick up litter. Scouts then returned to the campsite to prepare lunch before participating in one of several afternoon activities. Scouts divided themselves between field sports, geocaching (led by Scoutmaster Andrew Baird), hiking, and mountain biking (led by Assistant Scoutmaster Clyde Wikle). After resting some, Scouts then went about preparing dinner before Saturday evening's camporee-wide campfire and awards ceremony. The troop's two patrols, as well as the Leadership Corps, performed skits for the troops in attendance. 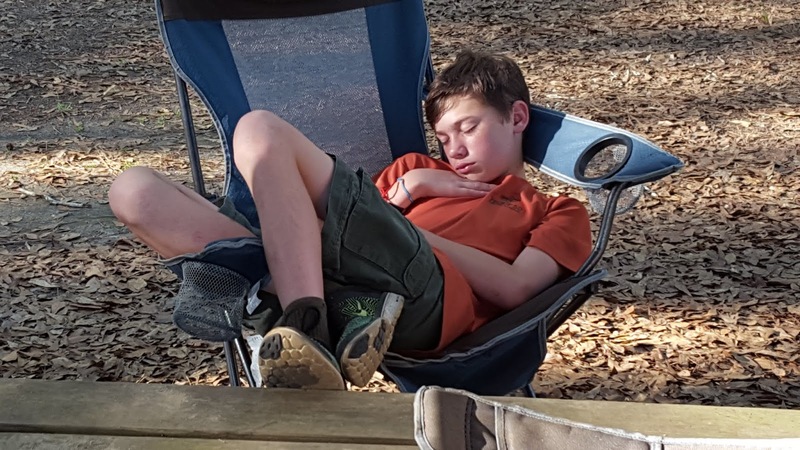 Scouts awoke Sunday morning to prepare breakfast, attend the closing flag ceremony and participate in a camporee-wide devotional service led by the troop's chartered organization representative, Michael Tullier. At the Patrol Leaders Council meeting on Monday, the troop's youth leadership praised the camporee competitions and the patrols' performance, as well as the variety of Saturday afternoon activities; the Saturday campfire featuring performances by other troops; the leadership provided by the troop's patrol leaders; the food prepared by the patrols; campout setup on Friday and take down on Sunday; and campsite noise levels. The PLC noted that a central location for event schedules and other event information would help reduce questions and keep Scouts informed throughout the event. For more photos from the spring camporee, visit the troop's online photo album.